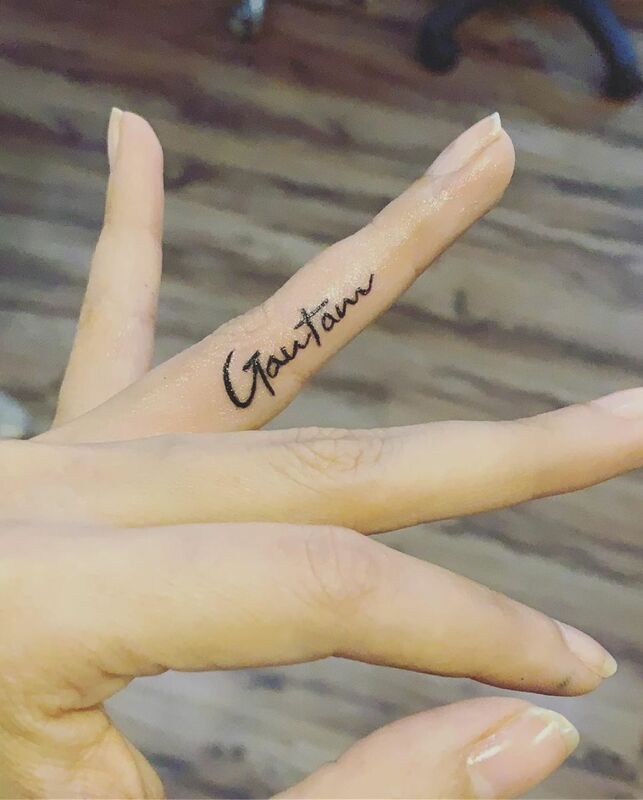 TV actress Smriti Khanna, who is married her Meri Aashiqui Tum Se Hi co-star Gautam Gupta, recently got a tattoo of her hubby’s name on one side of her ring finger as birthday gift for the actor. The actress gave a beautiful surprise on Gautam’s 31st birthday (April 13). She shared the pictures of the same, and captioned it as, “Happy birthday to the love of my life @mistergautam. Two years back you gave me the best surprise on this day Hope you liked my surprise Ps This pic was clicked when he had not seen the tattoo Pic courtesy @ojassdesai”. Smriti and Gautam's fell in love with each other on the sets of Ekta Kapoor's family drama Meri Aashiqui Tum Se Hi. Initially, the two gradually became fond of each other but remain friends. Few months later, Gautam proposed his ladylove in Goa and the couple got married in November, 2017. The couple has been married for over a year now. They celebrated their first anniversary in Indonesia last year. Currently, both Gautam and Smriti are not seen on the small screen.